Just in! 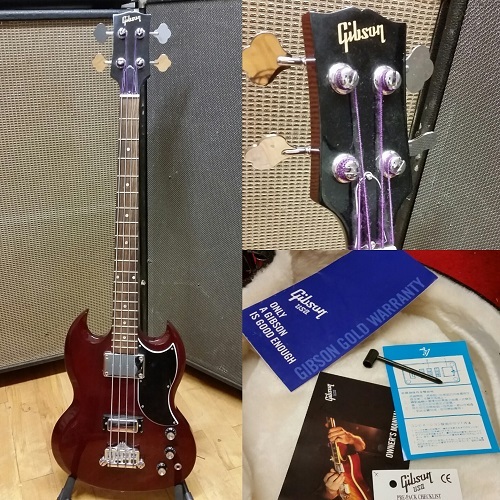 On consignment is an attractive 2007 Gibson SG Bass. Cherry finish. That iconic body shape. A classic sound. Comes with a hardshell Gibson case. White furry interior, all the case candy and adjustment tool. Short scale, currently strung with flat wounds. Get that low end thump or mid range honk. Redesigned pick-up avoids the “Mud-Bucker” tone that plagued the original EBs. Local sale only. We do not ship.